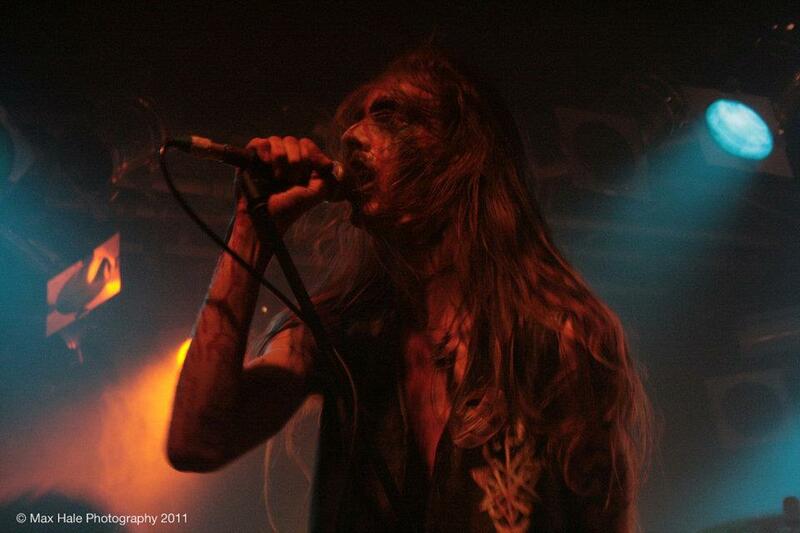 Home / interviews / Interview with Nihilifer of Erebus Enthroned!! Interview conducted via email on March 28, 2012. WULF: It has been over half a year now since you released the excellent “Night’s Black Angel” LP…how has the reception been for the album up to this point? I understand the album was written over the period of 2-3 years… have the positive reviews been sufficient in fueling your creativity to hopefully produce a new album quicker this time around? NIHILIFER: The reception for Night’s Black Angel has been positive indeed, which is humbling and pleasing. The few less then positive reviews and opinions out there we’ve stumbled upon really have only served for both our own introspection (at other’s insight) and amusement (at their lack of insight). I suppose it is normal for a band to spend a lot of time on their first album should they be serious enough to put that much effort into it. We have been working on the second opus with more focus and direction than the debut because we now have more of a taste of the process, from which even more hunger has set in! As said before positive reviews are humbling but are definitely not what fuels our creativity. You can expect something with the boldness and brilliance of a phoenix! The surface has been scratched and the entrails of this Ill creation will be further revealed, as tortuous serpents with flaming tongues. WULF: Are there any more details you can elaborate on with the new album? Also, which Russian horde are you releasing your 7″ split with? In interviews you have mentioned that both of these productions are still in the works, so any new news or information you can share is most welcome! NIHILIFER: All I can really elaborate in regards to the second album is that the song writing has taken a a less straight forward direction. There is still much of the definition that made the songs on Night’s Black Angel what they are, but an obscure fluidity has weaved its way into what has been created thus far. This split 7” will be released soon, we’d prefer it if we kept the details of who it is with and what label is releasing it to a strict minimum for now, as I’m sure it will be appreciated when it is released. It will be a special release and the artwork I must say is other/underworldly! WULF: I’m always more interested in a band’s literary influences (if any) than musical ones. Obviously Satanism and the occult are major inspirations, but are there any specific writers or literature that are especially influential in the creation of your music and/or lyrical themes? NIHILIFER: As far as literature goes, we do draw some inspiration from writers (as well as art) but most inspiration is drawn from a more personal and profound source. We have interests and draw some subtle influence from various sources ranging from Milton, Nietzsche, Crowley, Lovecraft (the concept of the Dark Gods though not the fictionalisation of them), Steiner (the theosophical works dealing with the Antichrist in particular), the Qabalah (mainly dealing with the nature of Evil and the Infernal Habitations), ONA, and modern Left Hand Path orders such as Temple of the Black Light and Dragon Rouge. We have drawn inspiration for both music and lyrics in deep dream states and from the concept ever present in almost every world mythology, the conflict between Darkness and Light, Chaos and Order. However, most of our inspiration really derives from our own personal resonance with the force known as Satan/Lucifer and His/it’s/their role for each of us striving toward the great primal perfection in perpetual paradox – Chaos Trisagion. WULF: You are set to perform at The Devil’s Arcana show this weekend. What can the audience expect from this live ritual? What are you hoping to accomplish? You’ve mentioned that your most memorable show so far took place in Melbourne sometime last year…do you feel that The Devil’s Arcana will match this previous show in intensity and negativity? NIHILIFER: For those that have seen us before and for those that have not, don’t expect anything! We always want a certain spirit of Chaos to be evoked within our live rituals. For us, a live performance (or a ritual) is about harnessing the potent power and vibration of music to presence dark and sinister energy to either direct it or freely let ourselves be directed by it. I have mentioned this before in an interview but it is very much like germinating seeds that have been sewn into us and within the songs themselves. A potential power being awakened by an influence both external and internal. I cannot say yet in regardless to The Devil’s Arcana matching the intensity of the Melbourne ritual, but a new song shall be unveiled to the public during our set and just as the other songs have been sewn with potent seeds, so has this new abomination and it is my prediction that they shall bloom in a violent array provoking much tortuous energy. 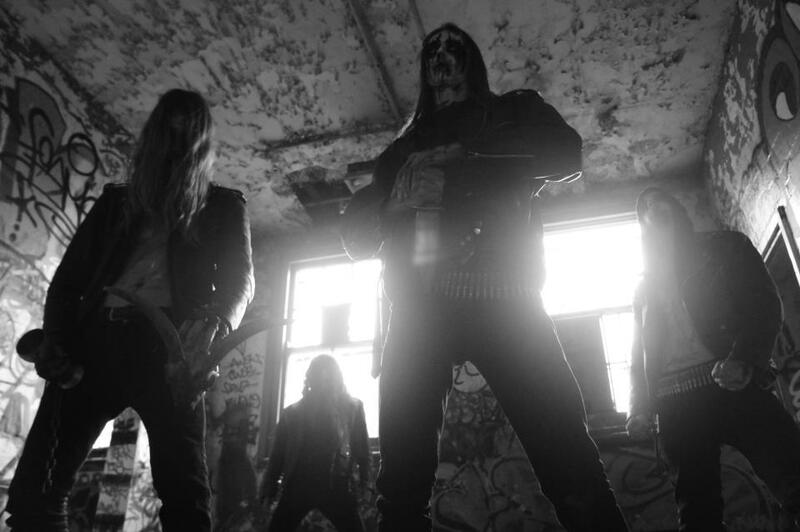 WULF: Before a live performance the group partakes in some sort of ritual involving “dead blood” (according to a 2012 interview with Cvlt Nation)…I understand that this is very personal for you, but is the blood your own or is it blood of an animal (similar to what Watain does before a live show)? Also, is this ritual based on traditional magic(k)al rites, or is it of your own creation? NIHILIFER: The blood we use is of an animal (most of the time it is from a pig, worn in moral opposition to certain groups of people we stand against a bit more than everyone else). The rituals we undertake prior to performing are not directly drawn from Ceremonial Magick but do bare similarity to the process of a Magician removing himself from mundane consciousness into another realm. Of course, you may notice we are a band that wears corpse paint. We see this not as a formality to adhere to a Black Metal image but as part of these conscious rituals to shatter the ego and make the husk of our beings conductive to certain things we call upon. It is worn to celebrate and welcome forces that belong to the realm of Death. A manner of certain techniques is employed by each member at their own behest to arrive into a receptive state of consciousness. WULF: Does the band adhere to astrological principles as well? 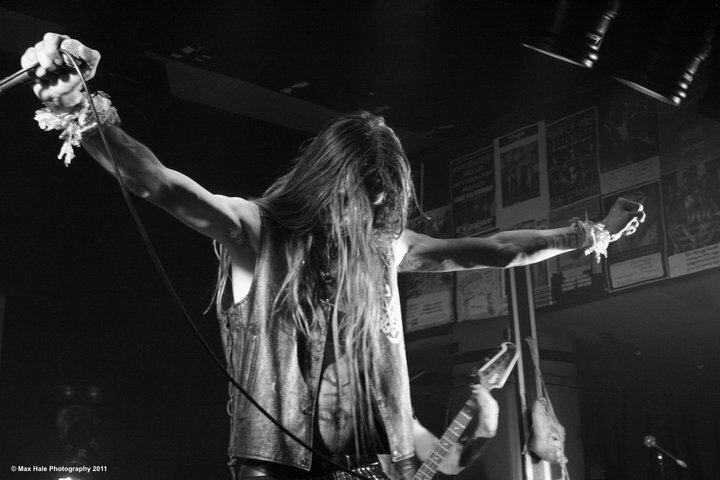 In the same interview, Nihilifer spoke of planetary correspondences amplifying the band’s ability to channel during the live ritual…what role does astrology play in the band’s own organization/preparation? NIHILIFER: We neither show disinterest nor swear by astrology. It is an esoteric science we see just as much value in as others but don’t worry ourselves by chaining our lives to it. I recognise the potency of some things like astrology and divination however, I personally would rather experience things in a chaotic manner and as far as astrology playing a part in the band’s organisation/preparation, it borders on the minimal to naught as we all wish to be guided by the free flowing energy known as Chaos. I mentioned that I was aware of correspondences between the dark and deathly planet Saturn and the aggressive Mars, amplified by the full moon. This is one detail I dwelt upon following the powerful ritual in Melbourne last year. WULF: I’m from the United States, only living in Australia temporarily. Is there a chance we will be seeing you in the New World at some point in the near future, or plans to travel to Europe? NIHILIFER: Where there is will, there are ways. We do indeed aspire to travel internationally to perform. There are no plans as of yet, but the night of Erebus Enthroned is young! NIHILIFER: I can’t really give you a straight answer on this one. The name was coined by an ex-member and when I joined it didn’t click straight away that it was similar to that band from England (not a fan at all of them). I had made the connection afterward but never thought much about it or even cared one bit! 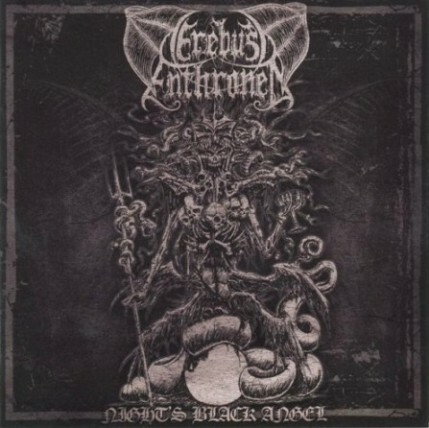 Bias aside, Erebus Enthroned is a much stronger name even on face value with its memorable use of alliteration. Erebus is a primordial personification of darkness. The name symbolises the coronation of a new dark, orderless order. NIHILIFER: Agios O Phosphorus! Join us on the 31st of March to celebrate Chaos and Death!